This has been happening on and off for the last few months, and it’s always the same dream, only with different details. 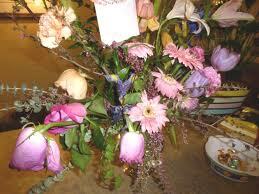 I suddenly find myself at my own wedding, almost by surprise, as time has completely escaped us leading up to it. Nothing is as it should be and all bets are off. Every dream happens at a different location, but it’s almost always some sort of a community hall with plastic chairs. Last night I was getting married in a carpeted boardroom that would make a public medical centre look chic. Old, stained seventies-red felt flooring, brown steel frame plastic seats, low gib-tile box ceilings, fluorescent lighting (you know the type that blinks two or three times when you turn it on), and lovely decor made from white and purple paper table cloths. My dad was busy blowing up purple balloons (balloons are a pet peeve of mine) and sticking sparkly star garlands from the dollar shop on to the fibre glass clad walls. And of course the flowers.. As usual in these dreams we’ve completely forgotten to order them, or the ones delivered are too few or on their last legs. I always run around to the sound of church bells, desperately trying to round up flowers from nearby gardens or street stalls. The cake is also a recurring issue. Last night a three-tier wedding cake arrived just before the ceremony, and it was a disaster! It was so tiny that it wouldn’t feed three people, and very sad-looking. I was frantic and ran downstairs (?) to the hotel kitchen, yelling at the pastry chef. He gave a me a stoic look and said “well, you ordered the gluten free version”. Finally, as a grand finale, when I head down the aisle I realize (every time) that I’ve forgotten my dress. It’s usually left behind in England, still at the tailors or I simply didn’t get time to put it on. No matter the circumstances, these dreams all end up the same. My wedding happens before i know it, all my worst nightmares come true, I’m exhausted and not in control of anything and I look a mess. At times I even look up and find that my fiancée has changed into a terrible person. In fact last night he couldn’t even be bothered turning up for the wedding photos. He said we could do it some other time, and I was desperately trying to tell him that we could always dress up for another shot, but what about all the guests? Ouff, is this a premonition or am I a high strung control freak? Does this happen to everyone?? 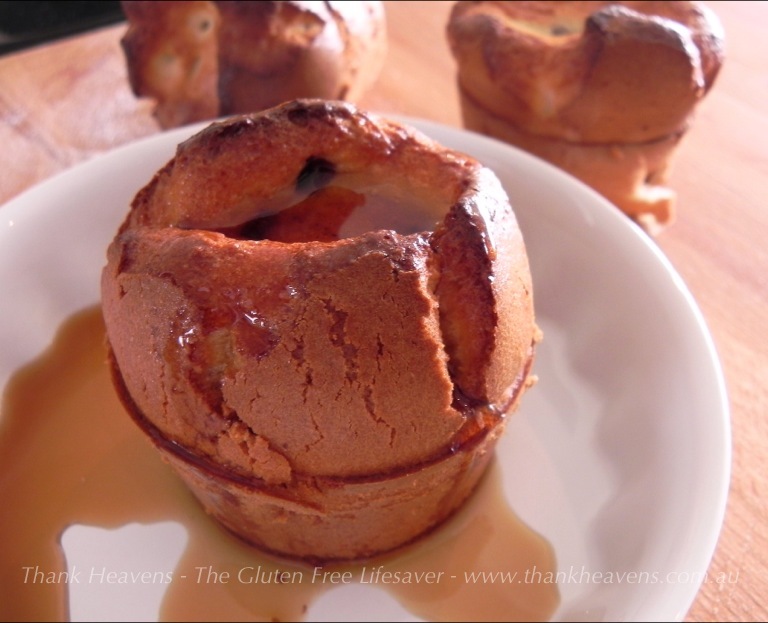 As I am clearly not in any kind of control over my future wedding (or my subconscious mind for that matter), I think it only right to turn to something I am indeed in exceptional control over; my breakfast popovers! 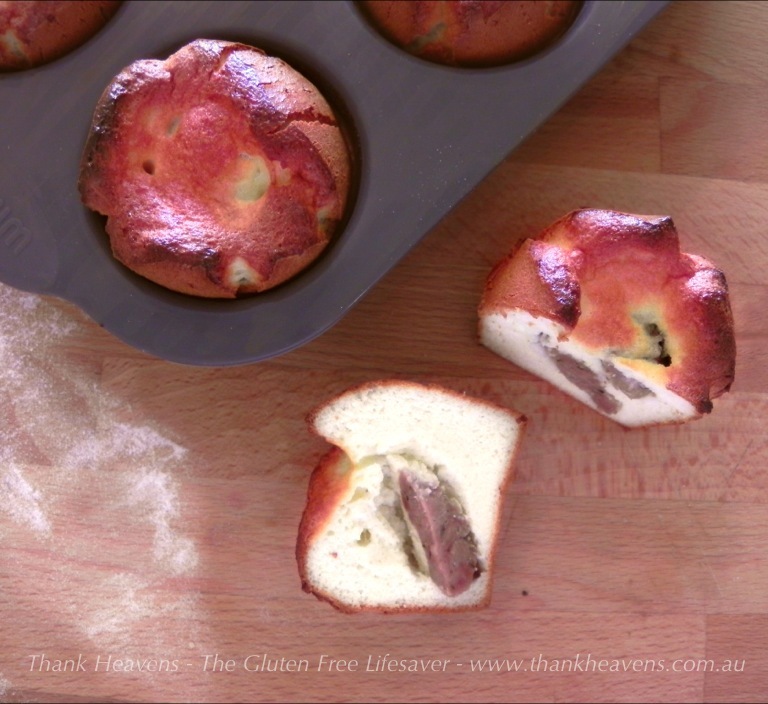 These fantastically fluffy and delicious popovers can brighten any day I recon, and it’s a hot breakfast without all the fuss and all the fat. Last night we had lamb sausages, so I added them to my breakfast recipe. Put all the ingredients (except the sausage, naturally) into a blender and mix on high for about one minute until the batter is fluffy and smooth. 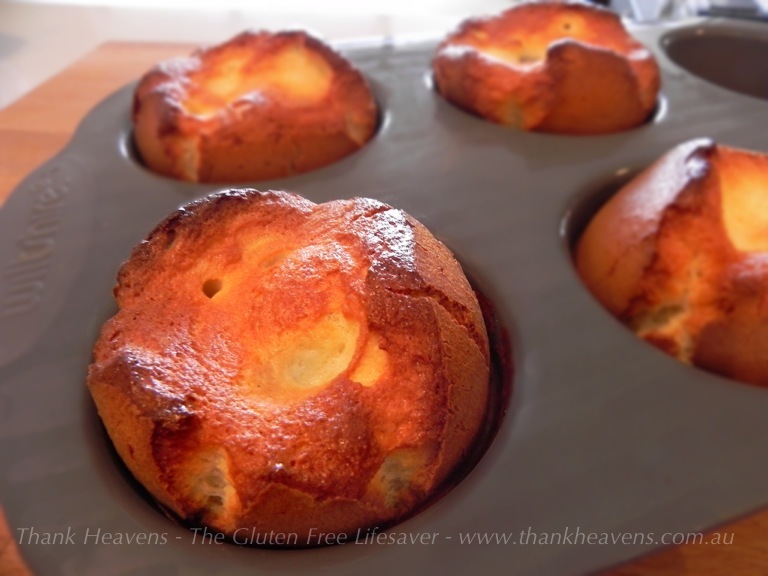 A lot of popover recipes will tell you to whisk the eggs first. I haven’t found it to make much of a difference for this recipe, but by all means, go ahead and fluff’em up if you’ve got the spare time! 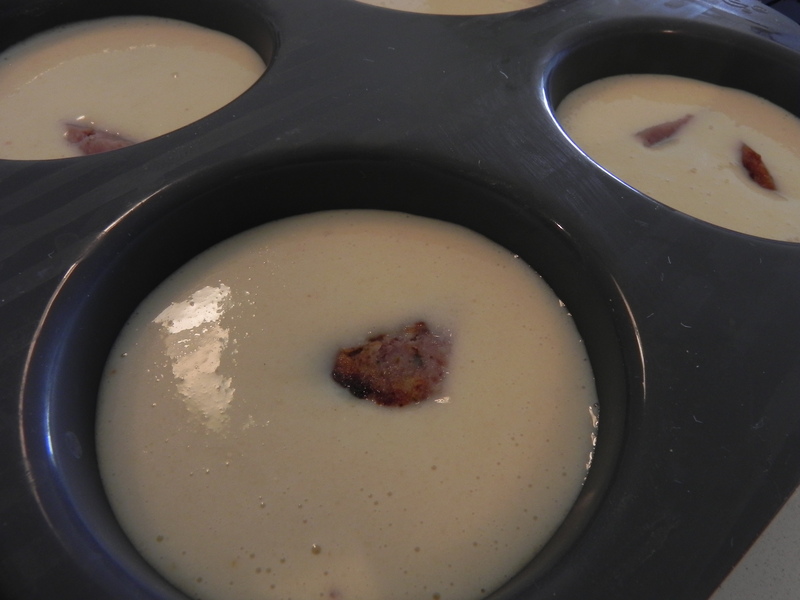 Grease a muffin tray and fill each mold with batter. Drop a couple pieces of sausage into each mold. Bake for 15-20 minutes or until they have about doubled in size and are golden brown. Serve hot with maple syrup or raspberry jam. YUM! 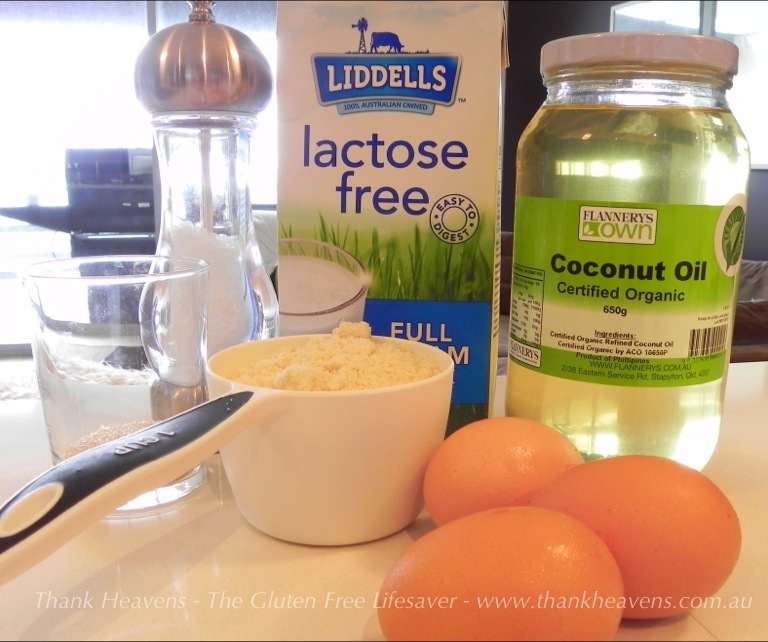 ← A Gluten-Free Baking Cheat Sheet to make life a bit easier! 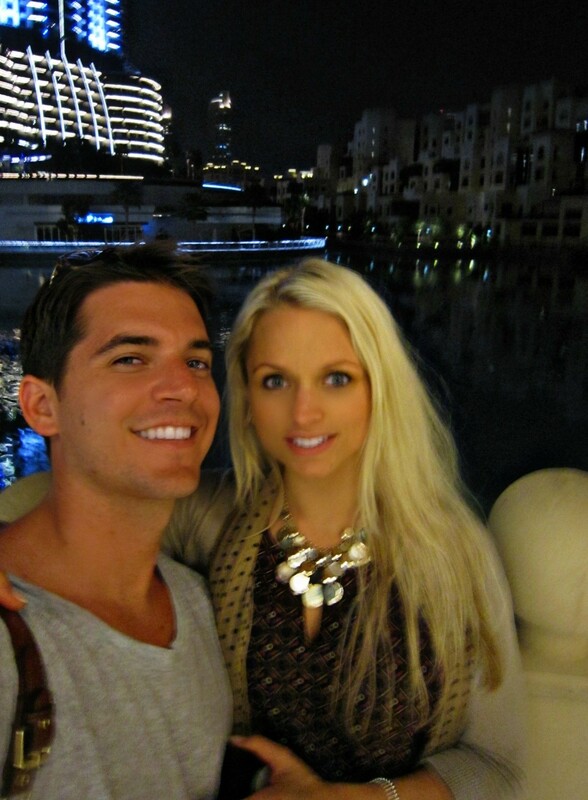 Kristine, this is all so hilarious and pretty normal, I think 🙂 I’m pretty sure you won’t be getting married in a boardroom and that your lovely popsicle-gear-buying-fiance will definitely stick around for pictures. 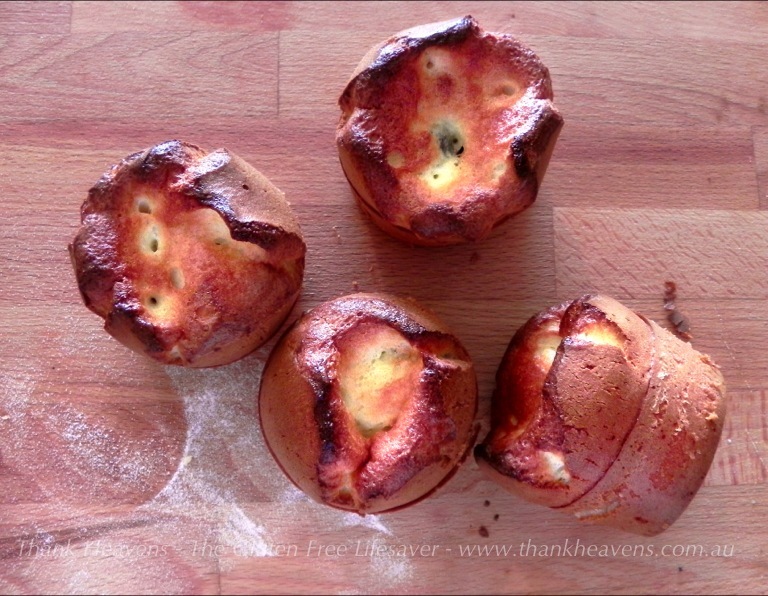 Mmm those popovers look amazing! Haha re the dreams. Have you set a date? I haven’t set the date so maybe thats why I’m not having these dreams yet. 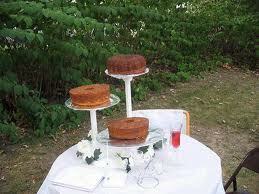 Good luck with your wedding planning – I’ve found there are a million options for every detail aargh!!! !